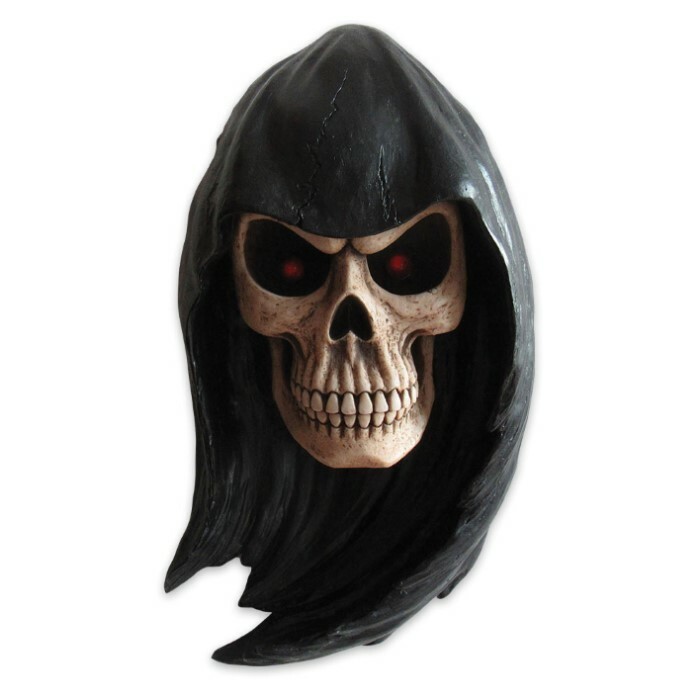 Grim Reaper Head Wall Hanging | BUDK.com - Knives & Swords At The Lowest Prices! 10” x 5 1/2” x 18"
Looking for that perfect gift for the avid skeleton décor collector? Our Grim Reaper Head Wall Hanging is an exceptionally detailed, hand-painted cast polyresin piece that will add an eerie dark atmosphere to your wall! The large 10” x 5 1/2” x 18" sculpture features the Grim Reaper skeleton head with evil red eyes and there is a keyhole in the back for easy mounting.